Happy Monday to everyone - including any spooks hanging around. I think it's time to bring them out into the open (spooks, that is) so I asked some friends for their true stories of paranormal experiences they've had. 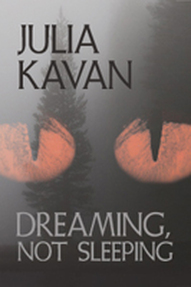 Let's kick off with Julia Kavan, author of the excellent horror book Dreaming Not Sleeping. I've read it and I really recommend it, in fact I dare you to! I’m lucky enough (or unlucky, depending on your outlook) to live in one of the spookiest areas of England...so they say. 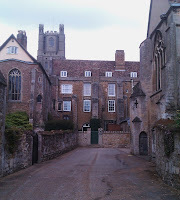 I live in a city rich in history, with stunning, ancient buildings, atmospheric streets...and plenty of ghosts. With all that on my doorstep my spooky encounters have almost always happened in the cold light of day, in the most mundane of places (Matalan, for instance – although I’ve also heard of a hunted Toys R Us) and have left me with simply a sense of ‘that’s weird’, rather than quaking in fear. Usually ghostly goings-on are the furthest thing from my mind when something happens. Most of my experiences with anything I’d consider otherworldly have been when alone, and I’ve therefore preferred to put them down to an overactive imagination caused by spending too long pondering my own fictional tales of terror J. One exception to this took place when I was teaching a creative writing class in a former inn that dates from the second half of the 17th century, and I had several students with me. 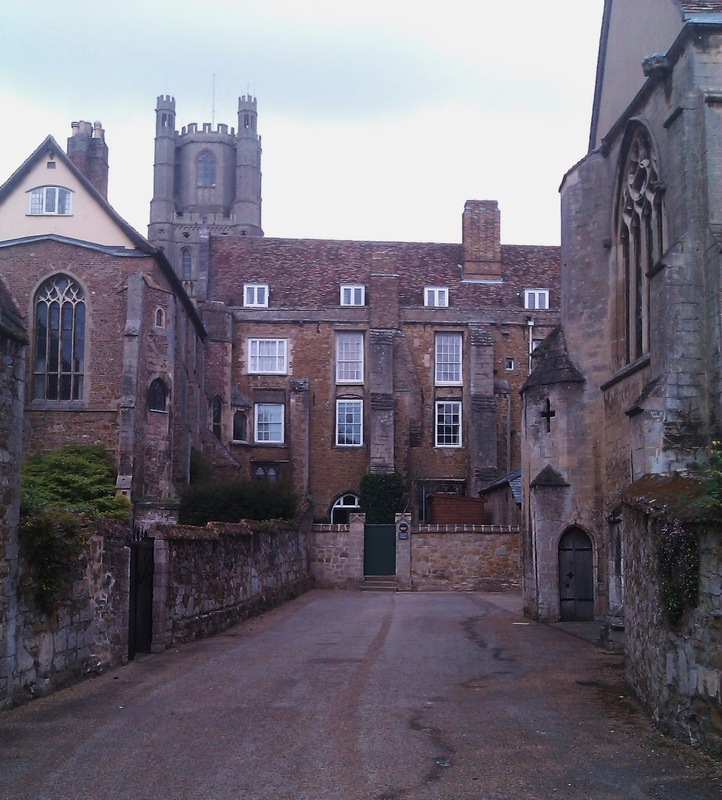 We used a small room at the rear of the building – quite claustrophobic and very quiet, thanks to the thick walls and a heavy door. Classes were usually a creatively rowdy affair, full of discussion and laughter, but that morning the room was silent except for the faint sound of shuffling papers as students worked on an exercise, writing what came to mind when given prompts. It seemed that it wasn’t only my students who were listening. As I said, “There’s a knock on the door,” there was a bang on the door so hard I saw the door move. Everyone jumped, then laughed at the coincidence – except when I opened the door there was no one there. I checked out the dark hallway that led to some stairs to see if someone had knocked on their way past, but there was no sign of anyone. As for my most recent experience... I’ve just returned from a visit to my in-laws in Wales, where, while standing talking to my husband and mother-in-law in the dining room, I heard footsteps on floorboards before being aware of someone coming into the room and starting to walk between me and the wall behind me. I stepped forward out of the way, to give them space. I thought it was my father-in-law and when I turned to speak to him I caught the briefest glimpse of a figure which vanished. The impression I was left with was that it had been a man in a white shirt. My father-in-law came into the room a few seconds later. None of us was wearing white and I also realised that although I’d heard footsteps on floorboards the hallway the sound came from is carpeted. Perhaps that’s why I tend to lurk in the dark shadows – it may be safer than being in daylight. Unless there are any vampires around J. Very cool. I often wonder if ghosts are stuck in some kind of wormhole. This was very interesting, I have my own ghost stories to tell. Thanks for having me, Sue. And thanks for stopping by, Shelly. You do Shelly! I want to hear them! That incident at The Golden Fleece certainly was spooky, Julia. And as for your most recent experience...what is it about Wales? Definitely has more than its quota of ghosts! Some eerie real life experiences! Bet that gives you plenty to draw upon for story ideas. Ooh, creepy. I love ghost stories, and I include them in the stories I'm writing now (they're set in Wales, so how could I not? ), but I don't really ever want to see a ghost myself. Great stories! 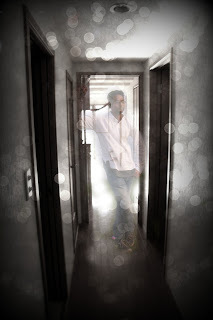 I love hearing and reading about ghosts, but I agree, not so anxious to see for myself!